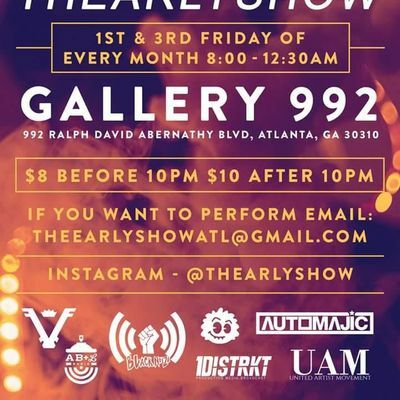 ThEarlyShow is a diverse artist showcase for the true art lover, creative professional and all those who enjoy a good Friday night vibe. We take pride in developing a strong platform that has provided a stage for over 600 independent artists since its inception. ThEarlyShow has built a community and networking pool of creative minds. Curated by Vici Royal of Vici Royal LLC, each show brings a certain charismatic energy that can only be described as "ThEarlyShow experience." Join our host Bri Feel & TKO, DJ D, and house band, Automajic, for the perfect Friday night pre-game. 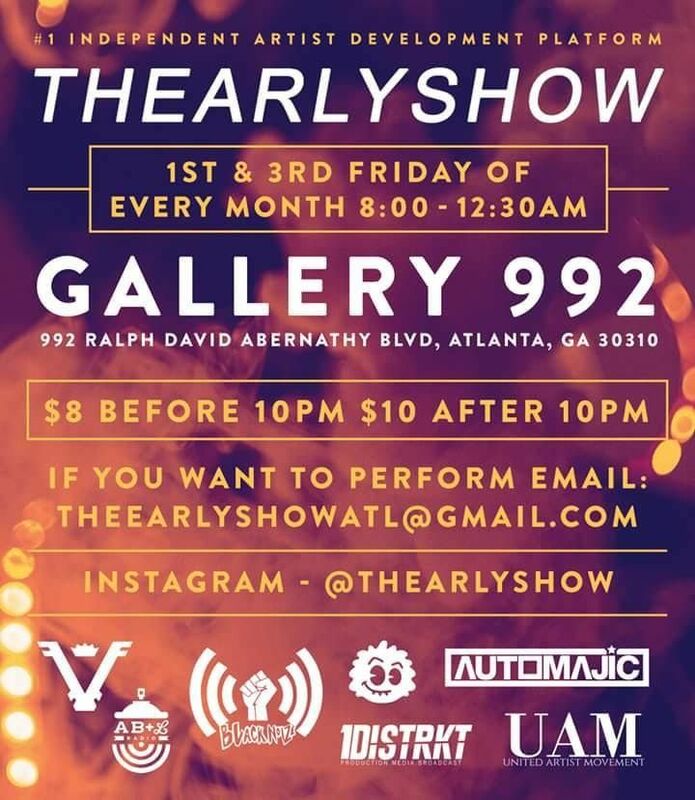 Follow us on IG @thearlyshow for everything EarlyShow. Must be 21 years of age or older to enter the venue.